Halloween isn’t just a time for candy, fright, and costumes. It’s also a time for unique and exciting arrangements to adorn the ins and outs of your home. 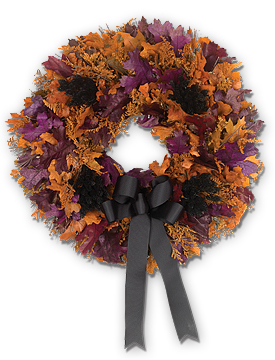 Our new orange and purple Trick-or-Treat Wreath is a preserved delight filled with maple leaves, statice, and black phalaris that will welcome trick-or-treaters and turn your neighbors witch-green with envy. 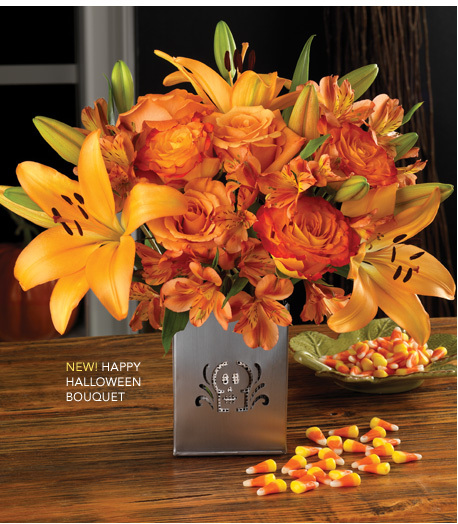 Or a bouquet of vibrant orange Circus roses and Asiatic lilies like our Happy Halloween Bouquet will serve as a stylish reminder of the natural beauty the season holds. Whether it’s tricks or it’s treats, show your guests your home is the most fantastically florally festive on the block.